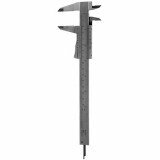 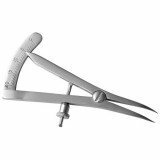 Orthopedic calipers and gauges are used during surgery for applications such as creating measurements during implant procedures and measuring depths for the implantation of screws. 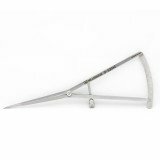 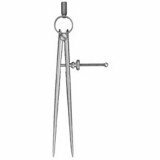 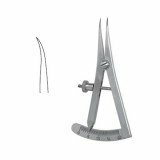 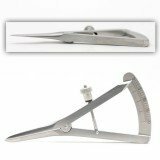 Popular styles include the bone compass, Castroviejo calipers, Redler, and Townley. 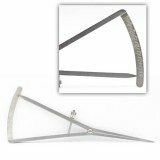 Stainless steel and titanium patterns are available. 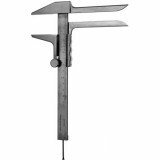 Caliper 9in with mm/inch grad. 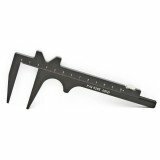 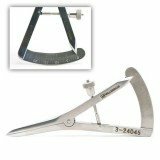 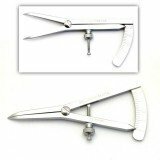 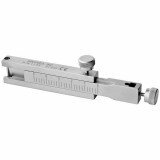 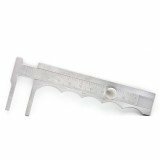 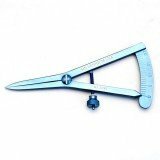 CASTROVIEJO CALIPER STRAIGHT 0-20mm .5mm Inc.